A post-apocalyptic first-person shooter featuring RPG and survival horror elements, based on the bestselling book written by Dmitry Glukhovsky. It was the first game developed by 4A Games, a studio that consists of developers working previously on the S.T.A.L.K.E.R. series. Metro 2033 for PC and X360 is a shooter set in a relatively near future. The story tells about a nuclear apocalypse, as a result of which the populations of all cities on Earth were annihilated, and the entire environment was dangerously radiated and turned into a post-nuclear wasteland. Only a couple thousand people survived – the ones who at the time of the bombing were in safe and secure in the Moscow metro, the largest fallout shelter in history. The community living in the Russian underground, certainly has no easy life. Yes, there is no shortage of clean water and air (thanks to purification systems), electricity (generators) and even food, produced in underground farms, but all this does not change the fact that the era of human dominance over the Earth is long past. Animals who lived on the surface went through strange mutations and transformed into deadly monsters. At one point these creatures began to harass the inhabitants of a northern part of the shelter, the one called VDNH. Over time, the attacks became even more dangerous, and the defenders of the compound were decimated. You play as a young inhabitant of VDNH, who has to get through to Polis, the central part of the metro, and inform the local residents of the impending danger and ask for their support. Of course, the road to the heart of the shelter is not paved with violets, let alone roses – there is danger around every corner, which brings much fast-paced action into the tunnels of the Moscow underground. On your way, you find a variety of equipment, including weapons and gadgets that make the survival in this hazardous environment a bit easier. In some moments the player can also try his hand at stealth approach – lurk in the darkness and silently eliminate opponents one by one, instead of charging at enemy stations. Using the right tactics often brings purely economic consequences – ammunition serves as the currency, so if your play style requires carrying tons of ammunition, you have to get the right amount of funds. The underground enclaves are really impressive – they are full of people who go around their own business. However, the vast majority of them cannot be interacted with. The story told in the Metro 2033 for PC and X360 is completely linear and heavily scripted. Anomalies are another noteworthy thing – for example, the hero experiences strange visions from time to time. The game uses an in-house developed game engine, called 4A-Engine. It is also worth mentioning the wide range of graphics technologies used in Metro 2033 – these include: fully dynamic lighting, soft shadows, HDR, ocular adaptation, DOF, or motion-blur. 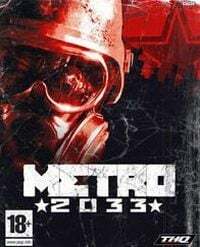 This guide to Metro 2033 contains a detailed description of the prologue and of all seven chapters of the singleplayer campaign of the game, providing help in defeating enemies, completing mission objectives, collecting secret and unlocking all endings.